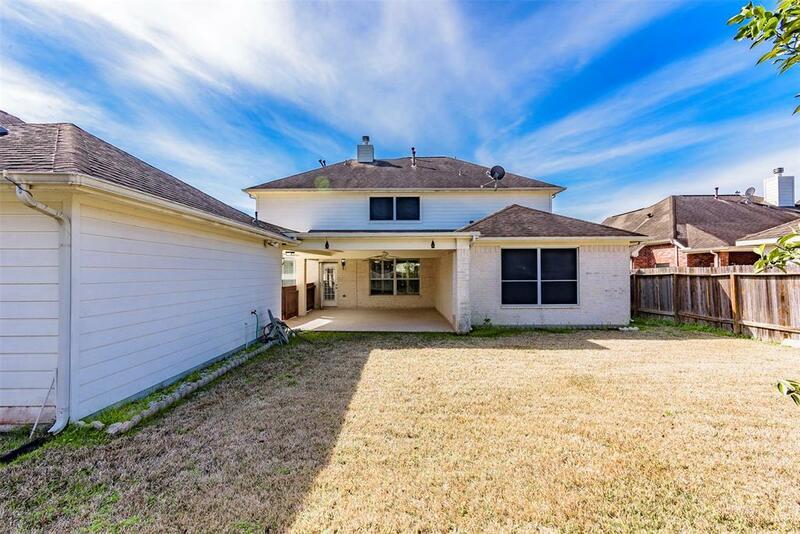 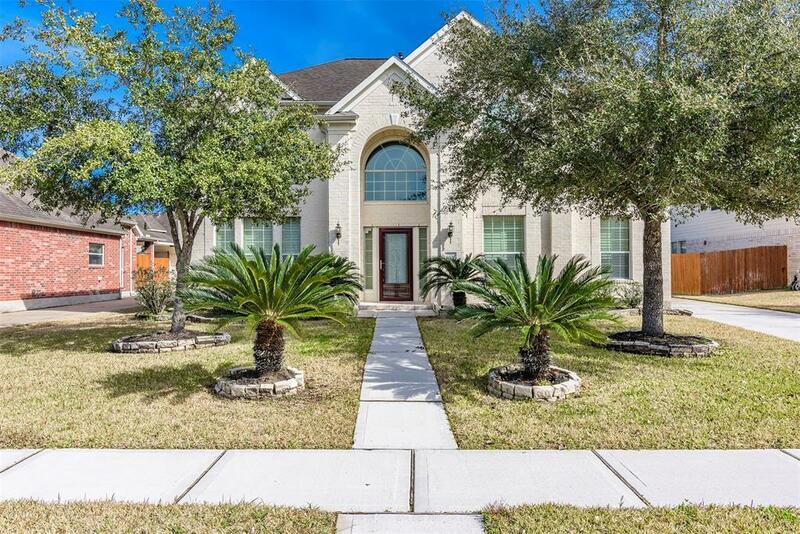 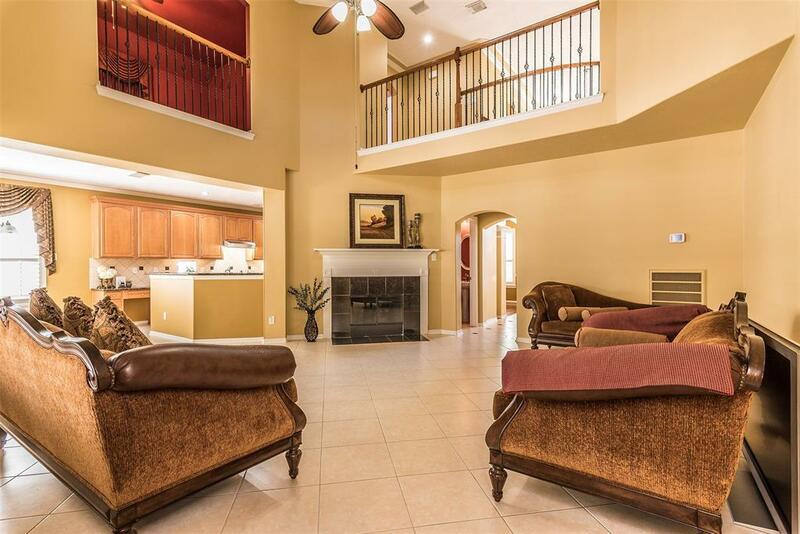 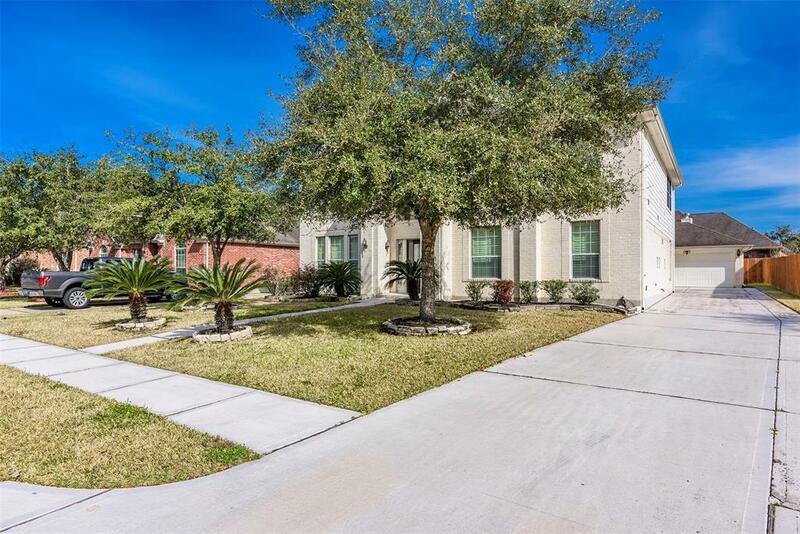 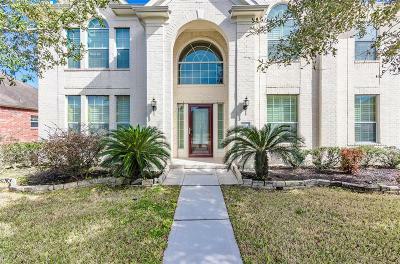 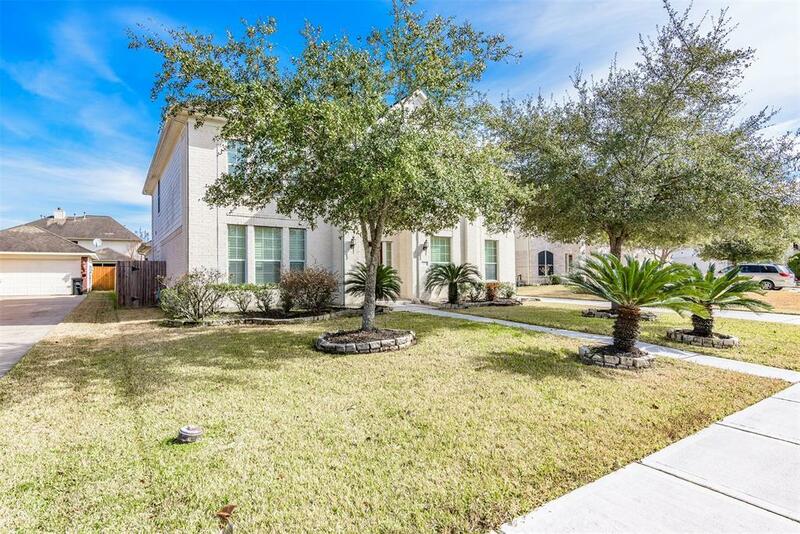 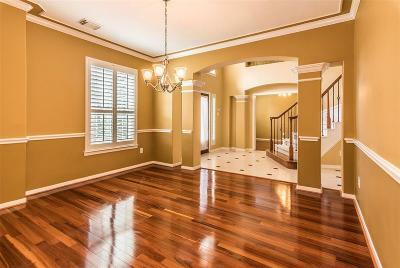 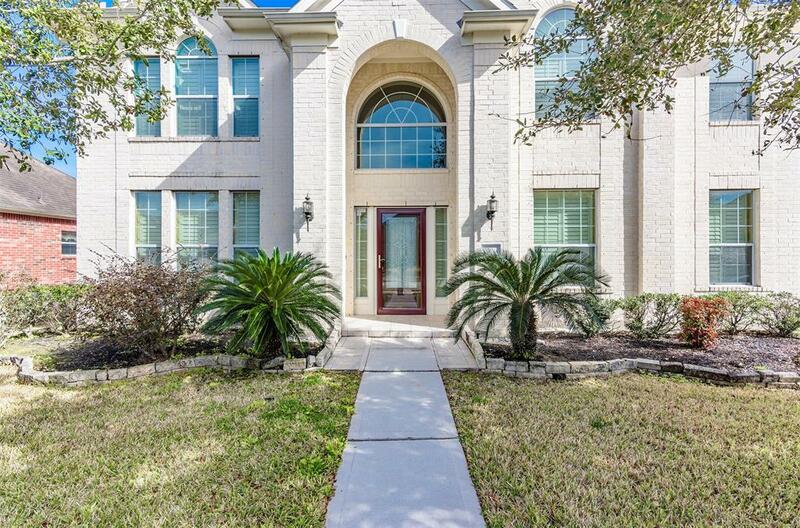 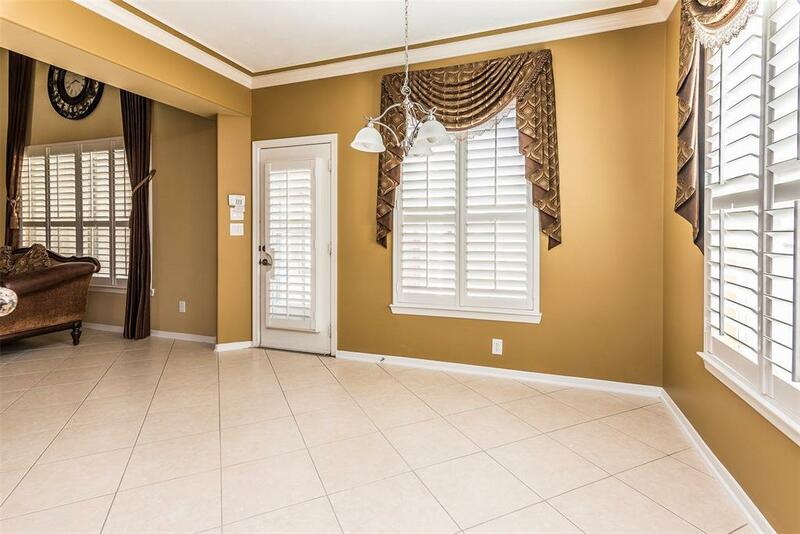 Beautiful 2-story home featuring 4 bedrooms, 3.5 bath & 2-car garage in Autumn Lakes of Friendswood in CCISD. 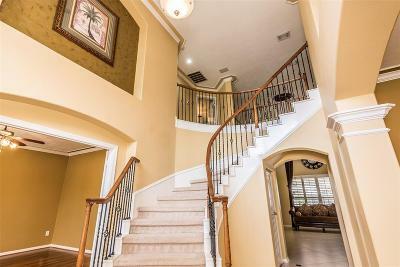 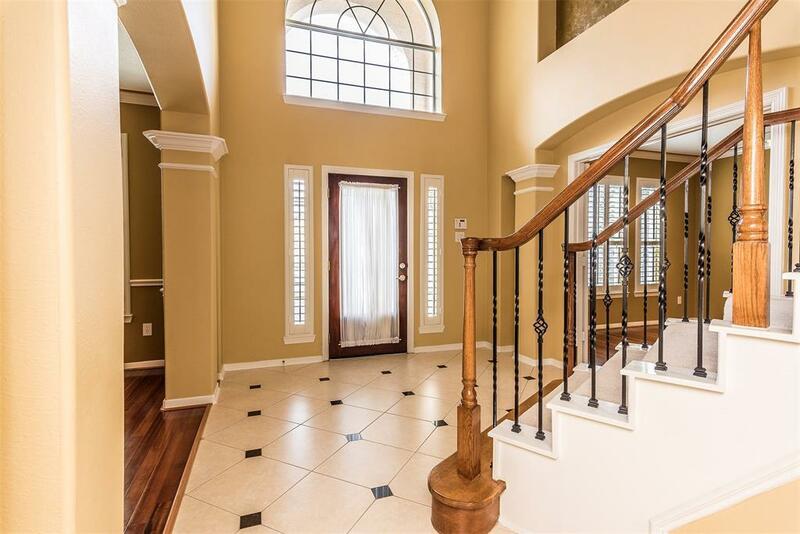 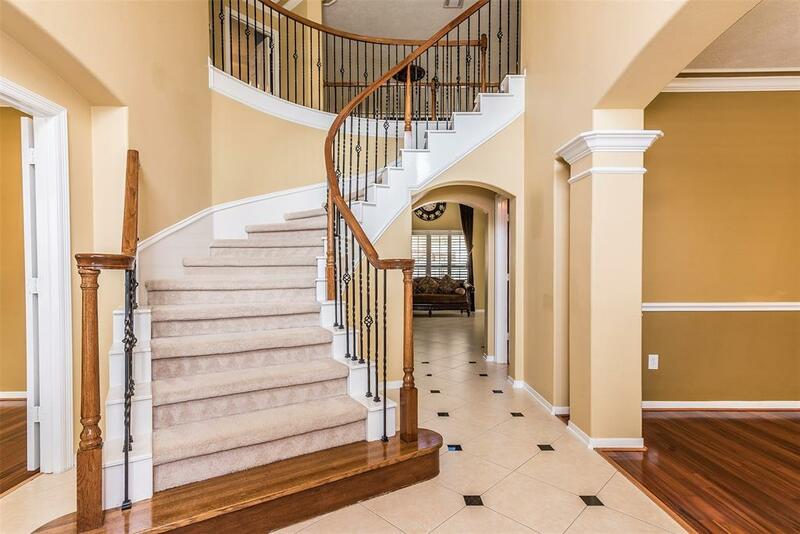 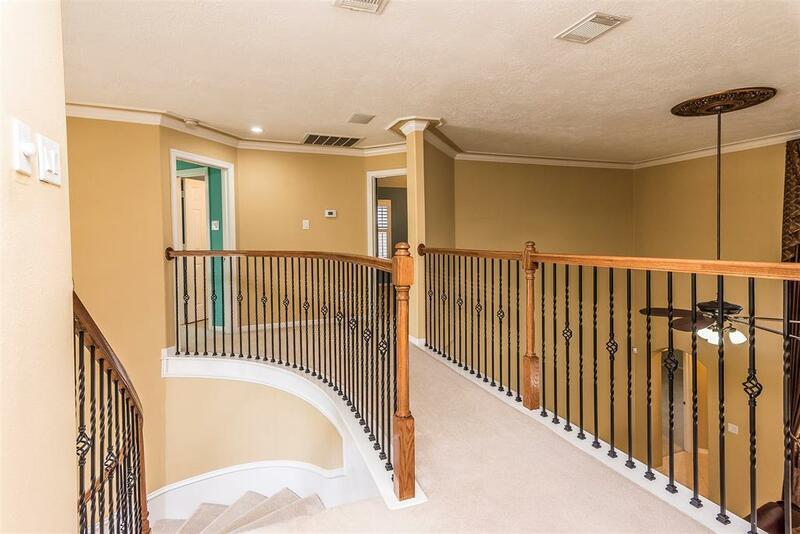 Entry w/ ceiling spanning 2 stories and views of the winding staircase.Plantation shutters thru-out the home. 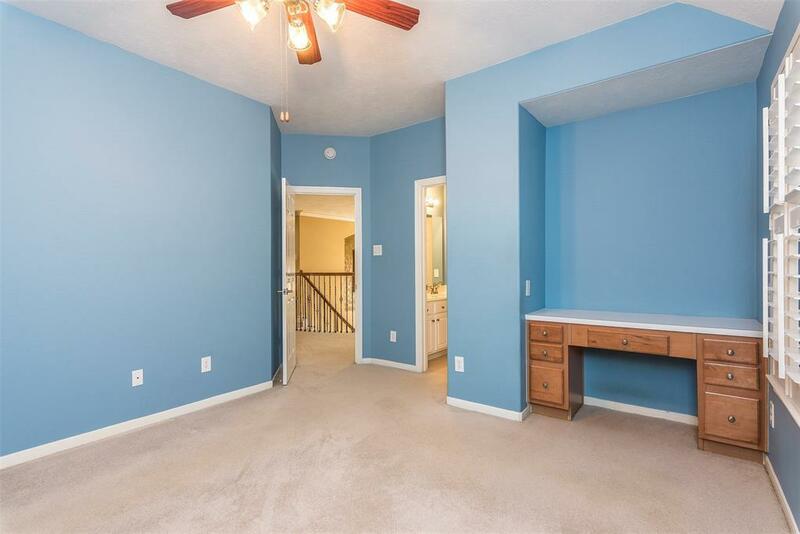 Study or home office with double french doors. 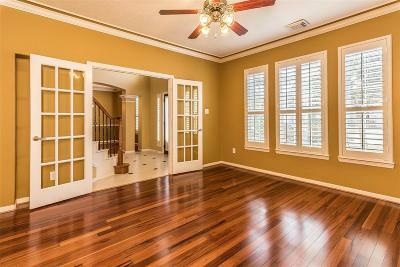 Formal dining is spacious and room to entertain. 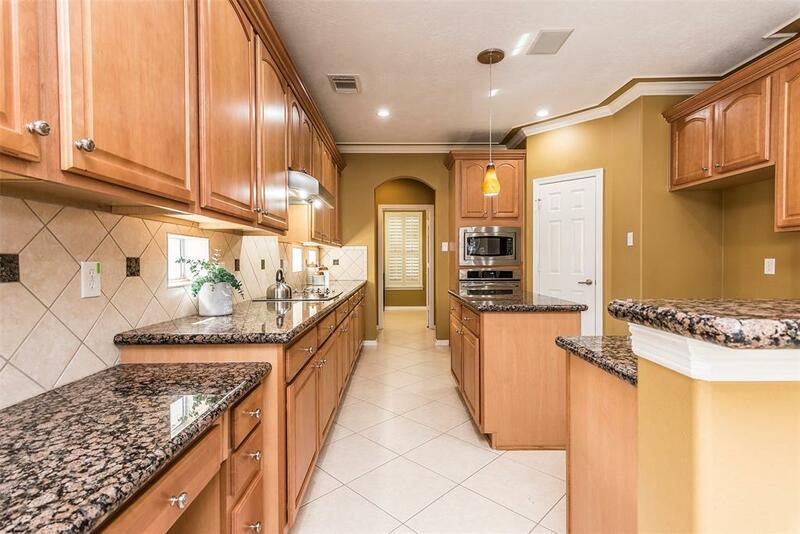 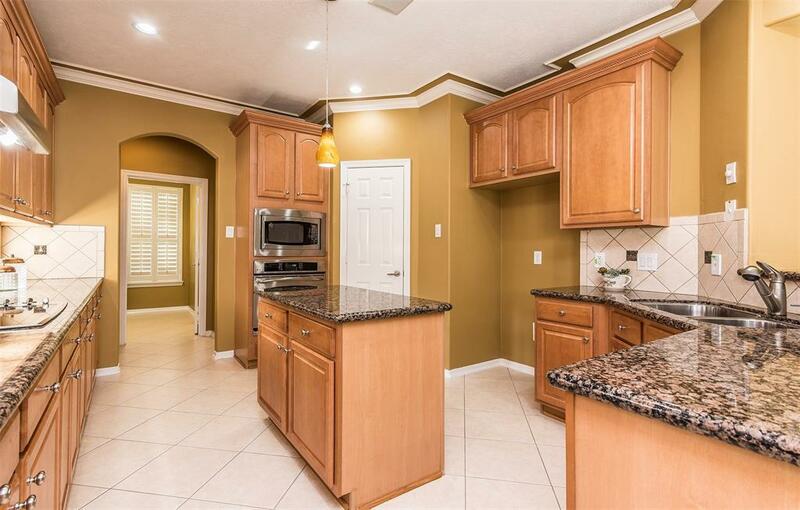 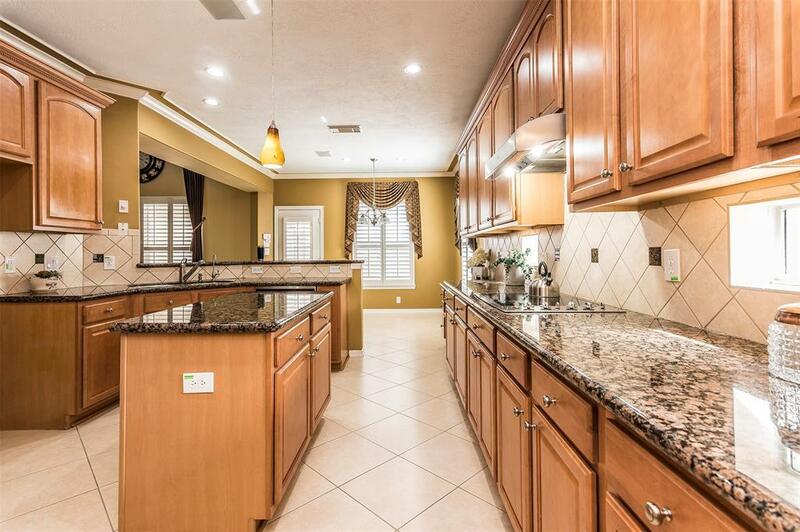 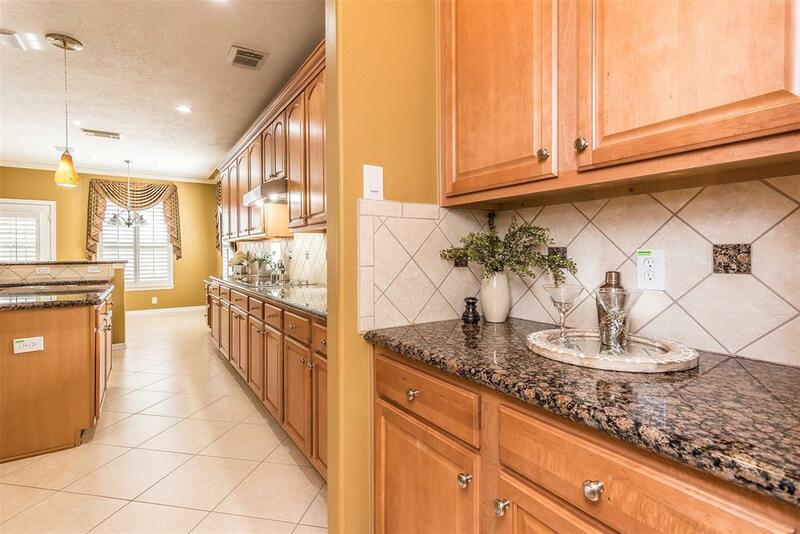 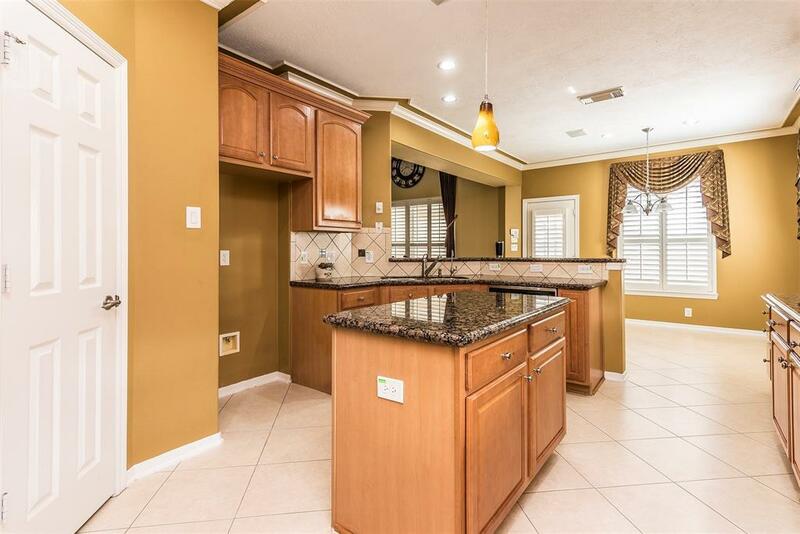 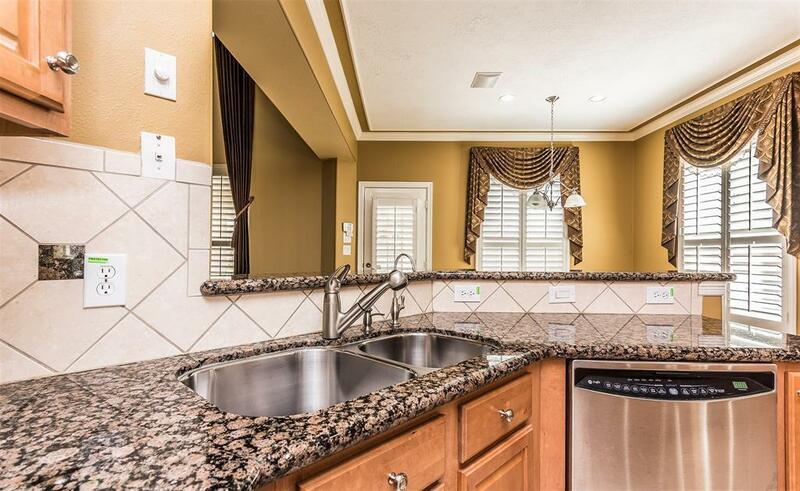 Large island kitchen with stainless appliances, granite, tile backsplash, and walk-in pantry. 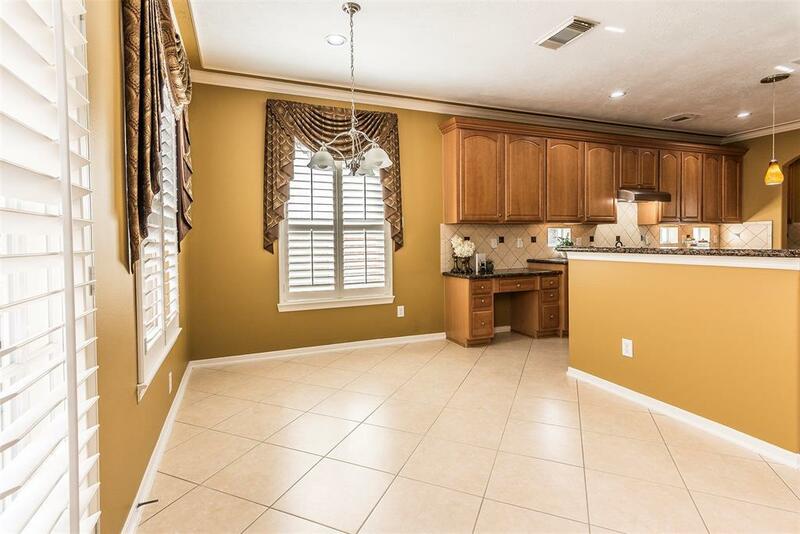 Breakfast area too. 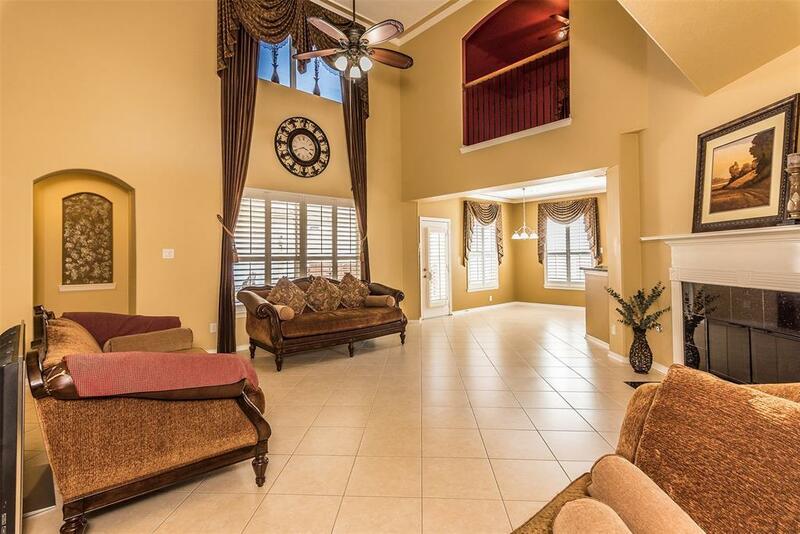 Living room with high ceilings and balconies overlooking from the second floor. 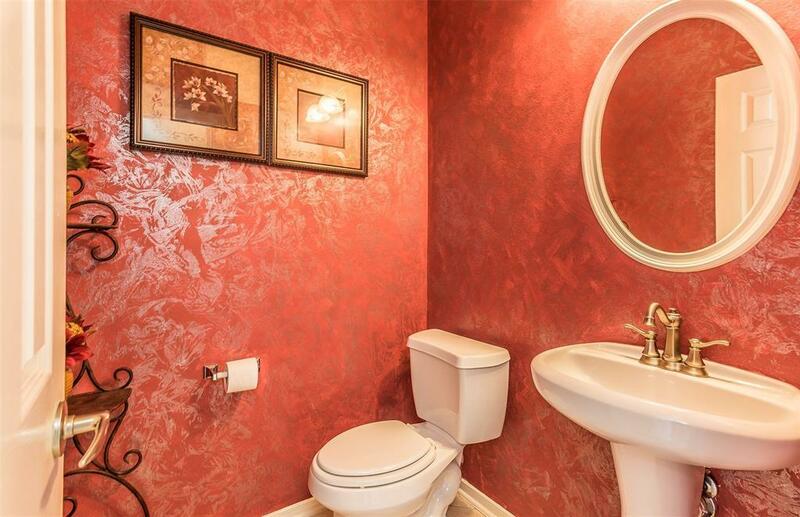 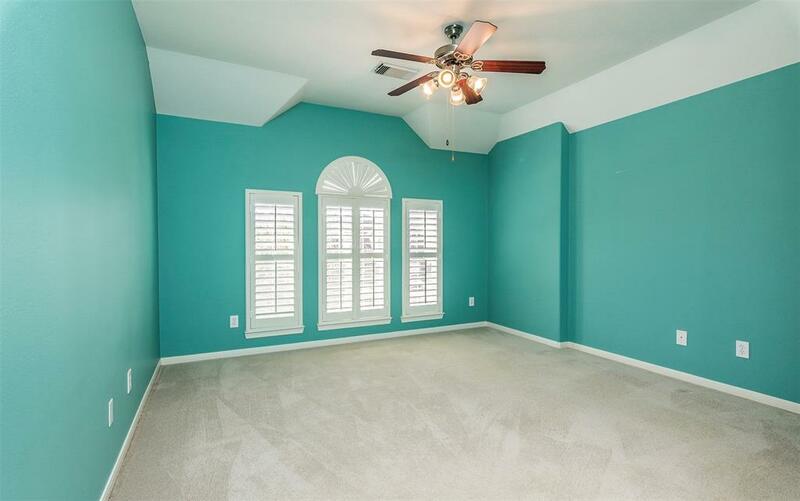 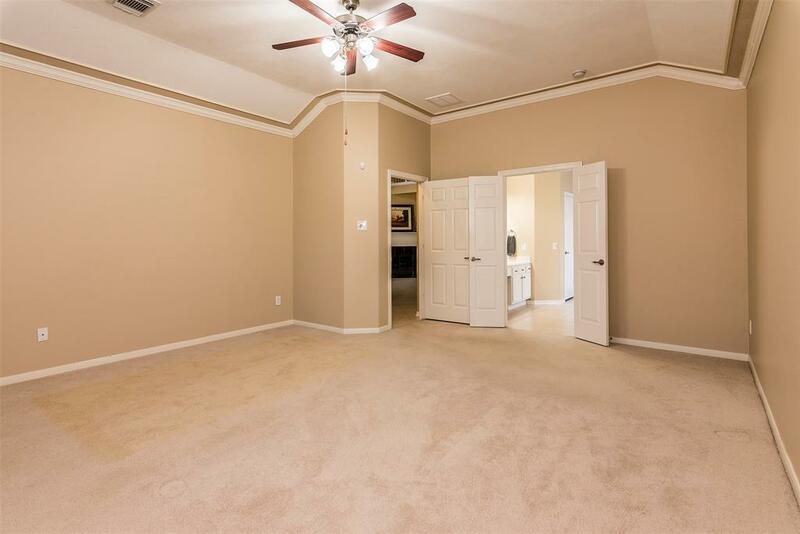 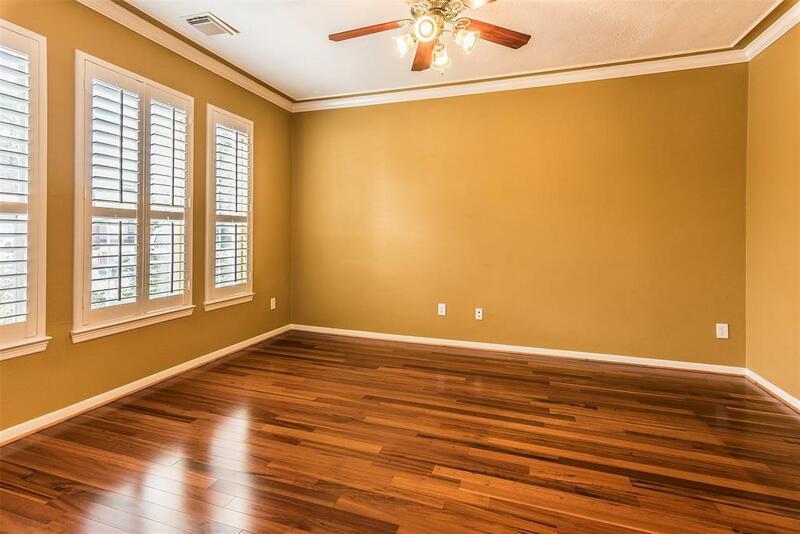 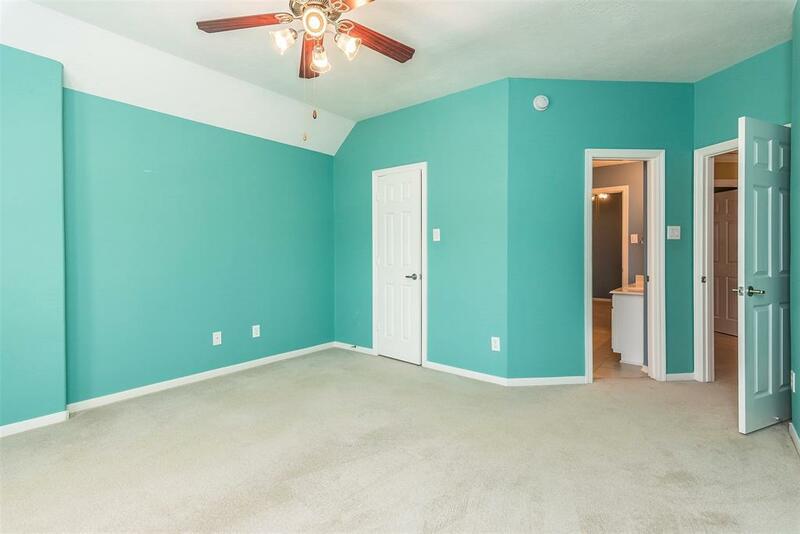 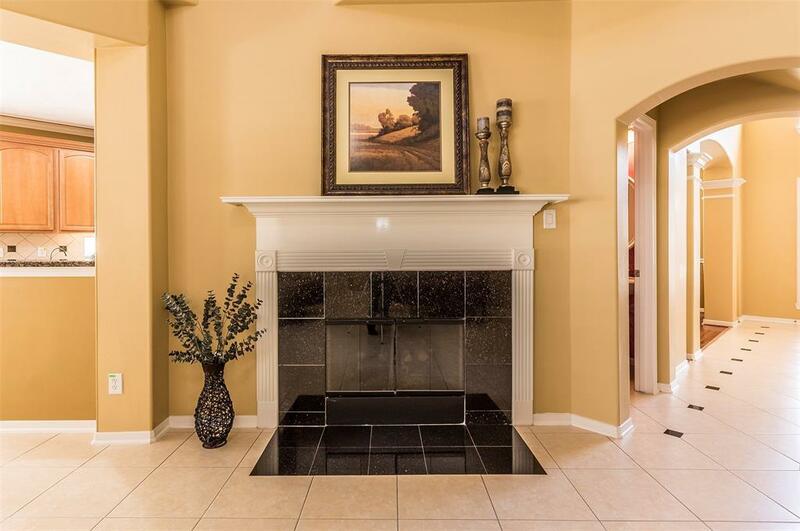 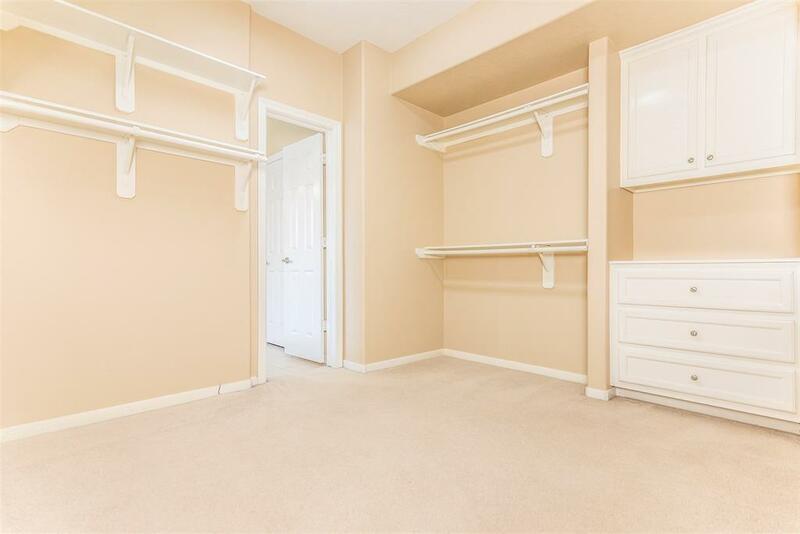 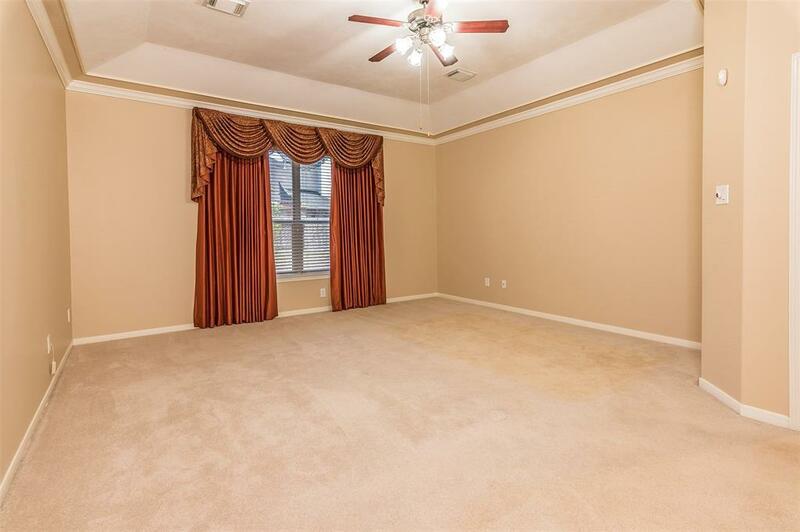 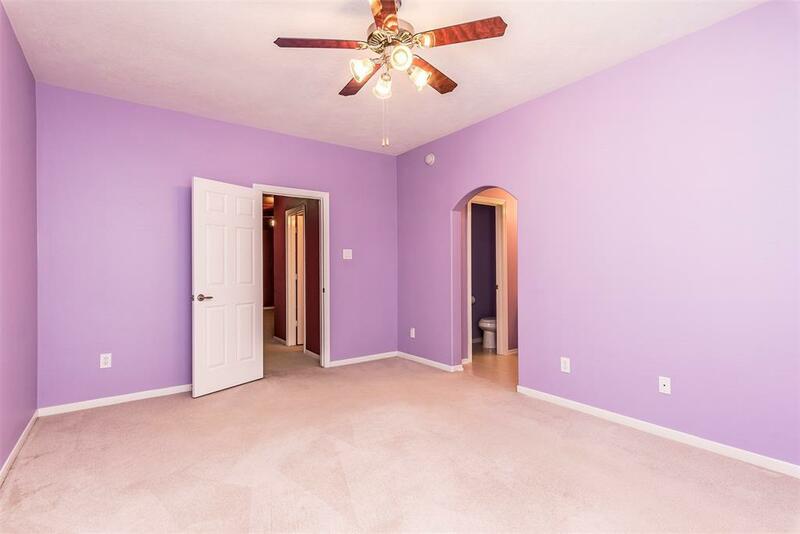 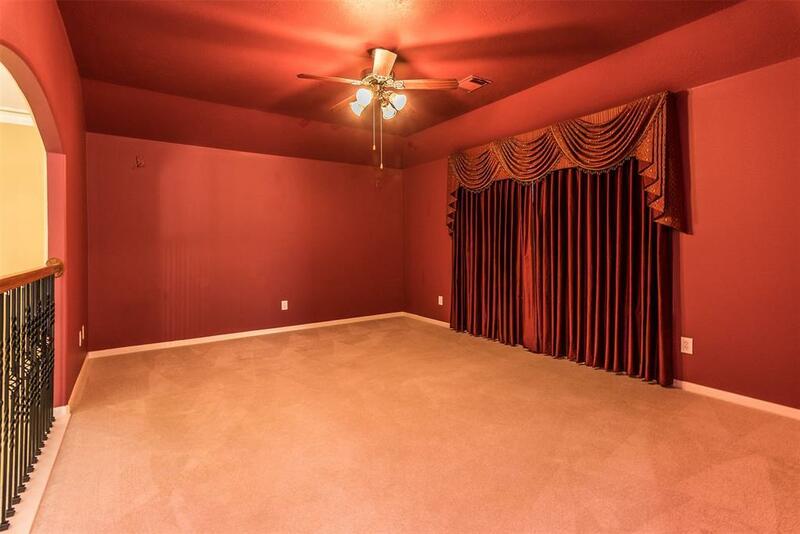 Huge master with crown molding. 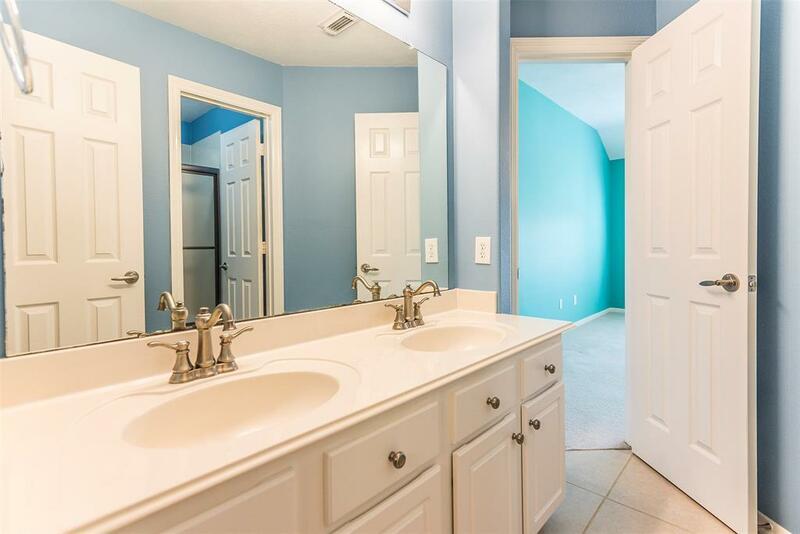 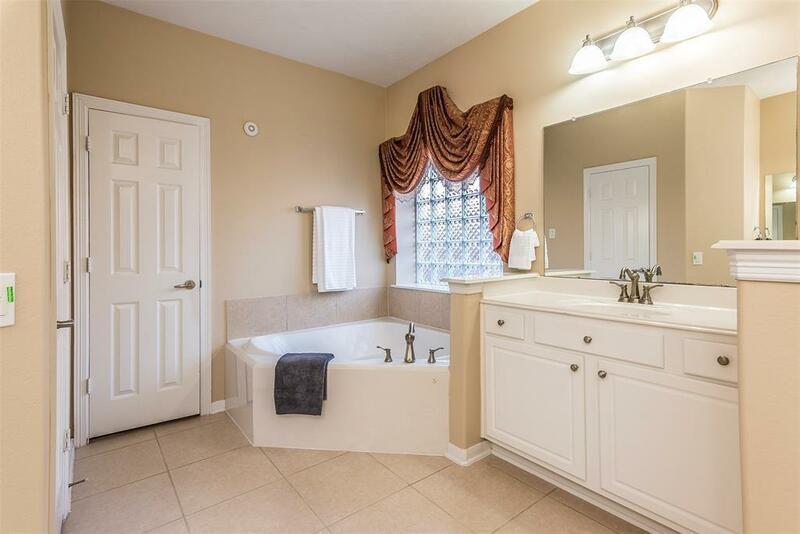 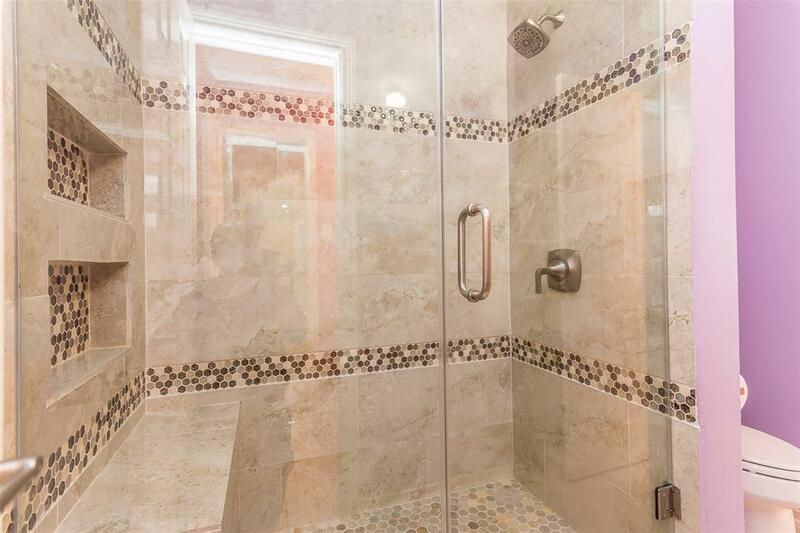 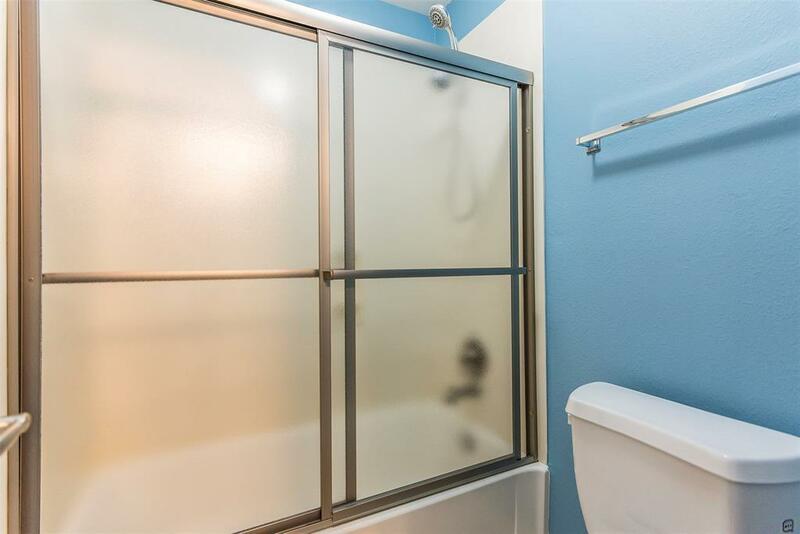 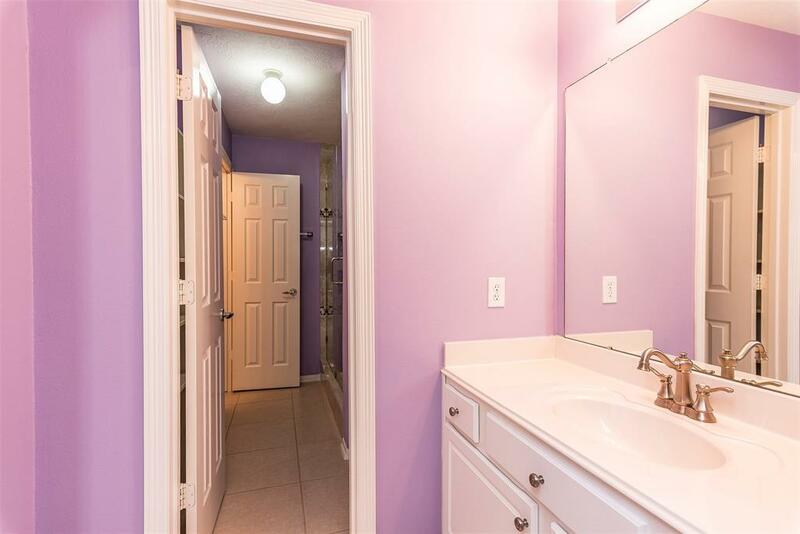 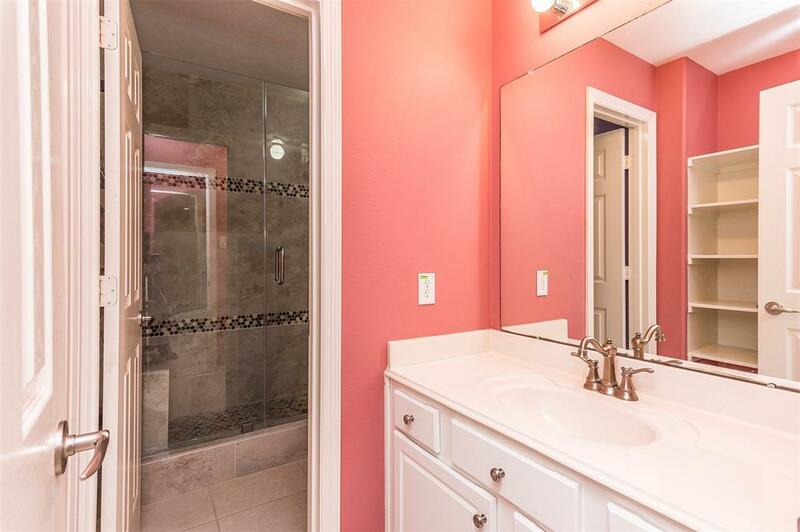 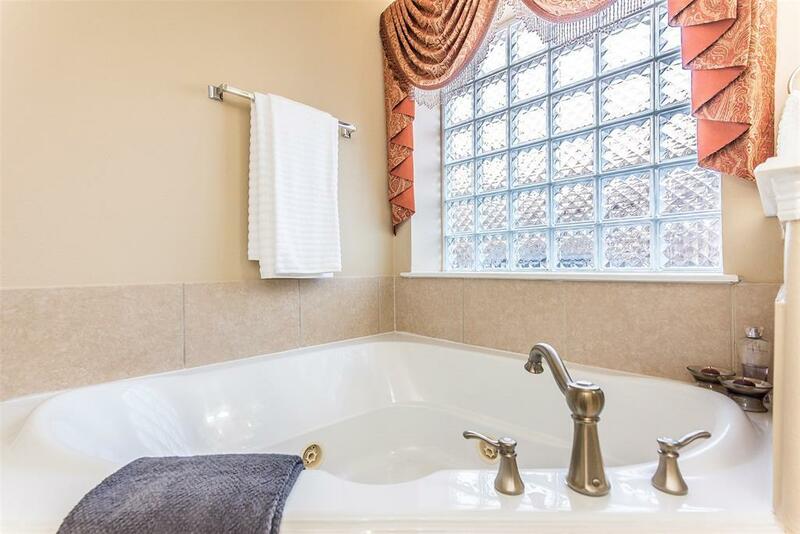 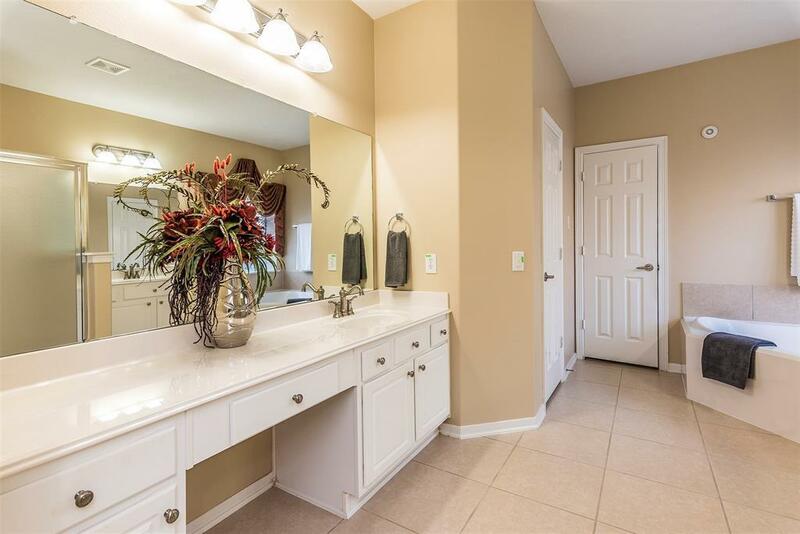 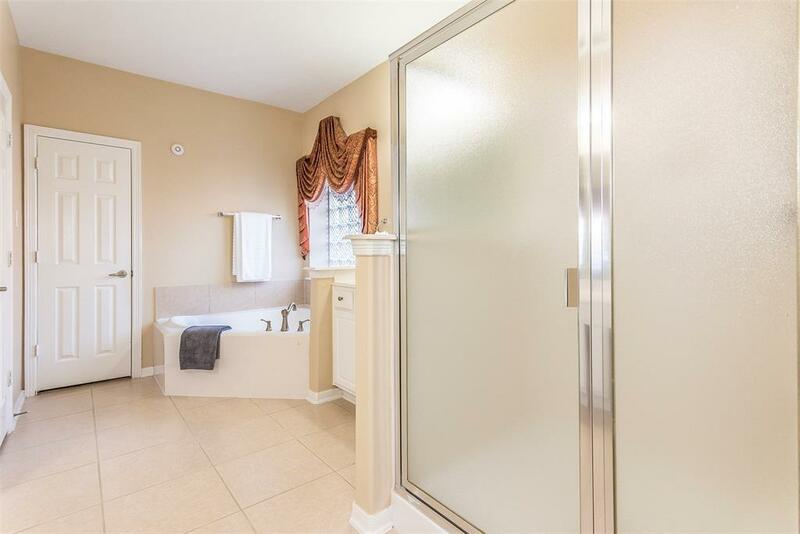 Mast bath w/ his/her vanities, walk in glass door shower, separate whirlpool tub and huge walk in closet. 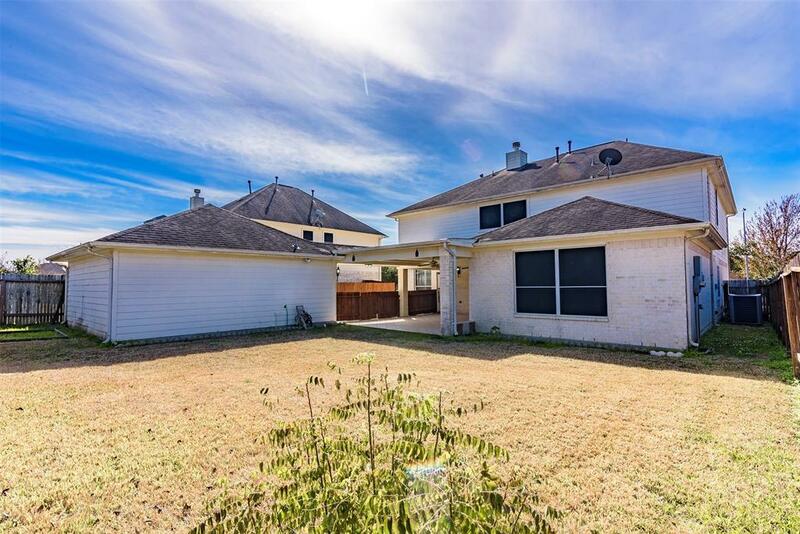 3 additional bedrooms & 2 full baths upstairs. 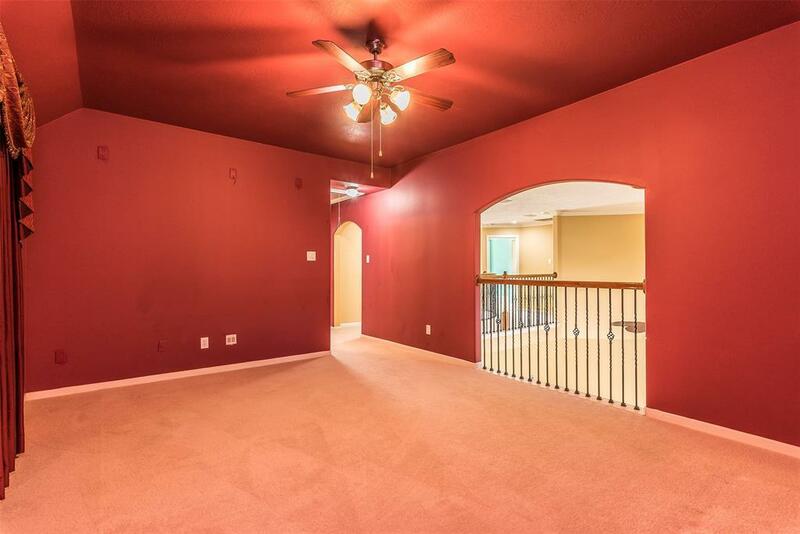 Large gameroom up overlooking living room. 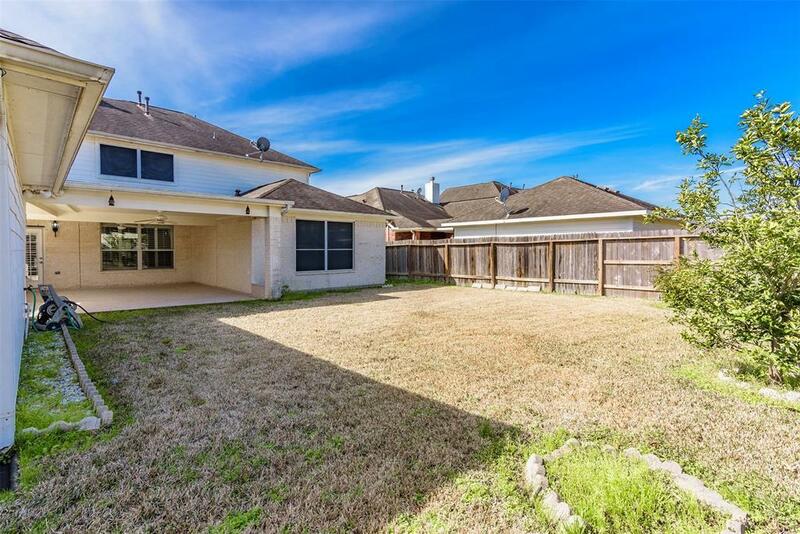 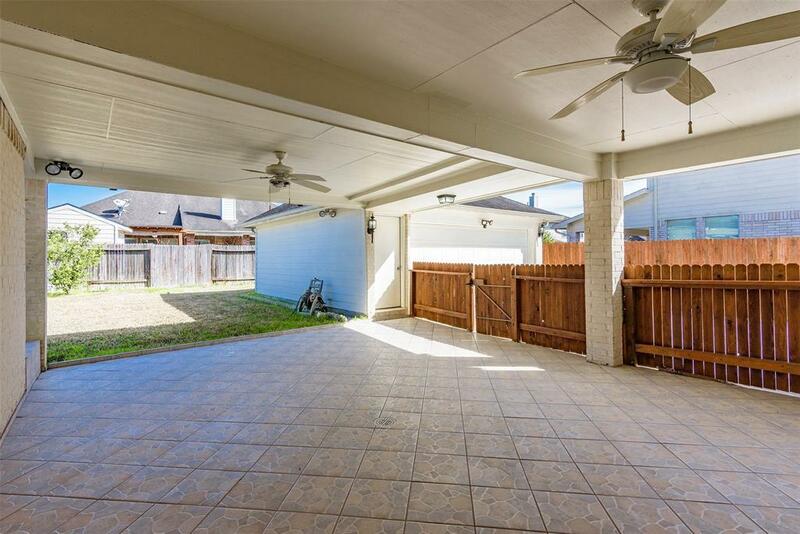 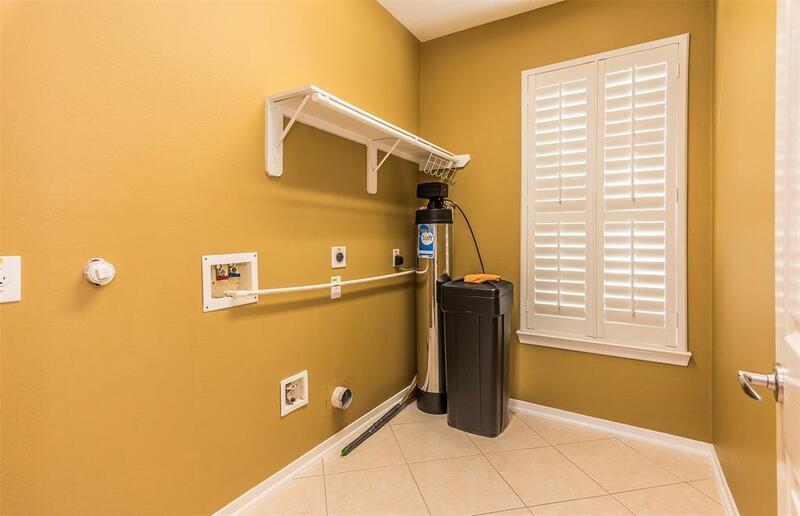 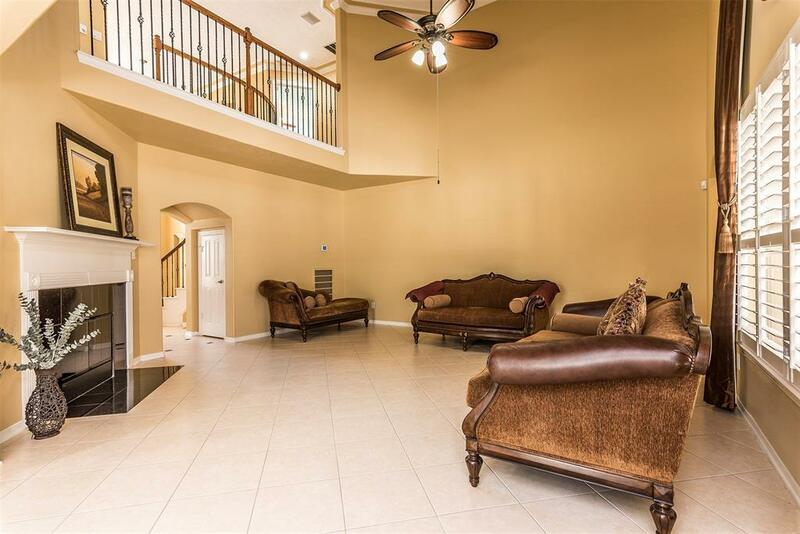 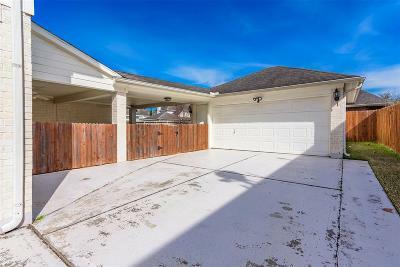 Huge covered back patio area with 2 ceiling fans and plenty of room to entertain. 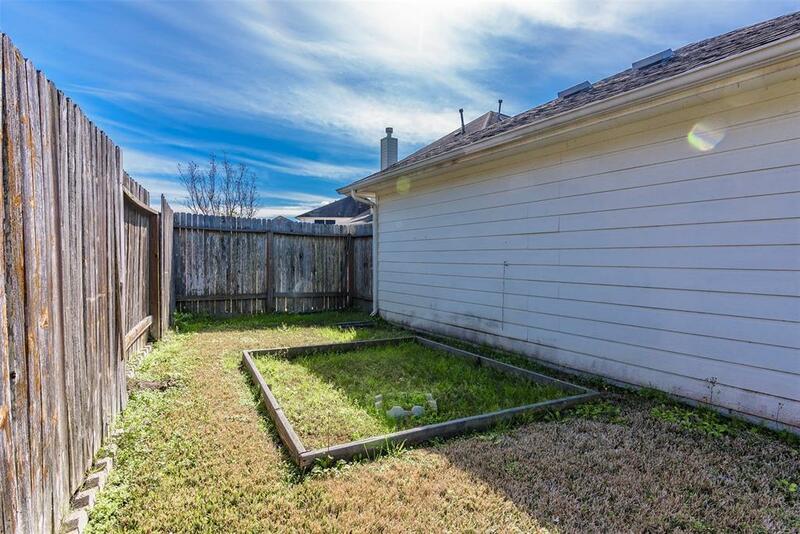 Backyard still very spacious with plenty of room for all outdoor activities. 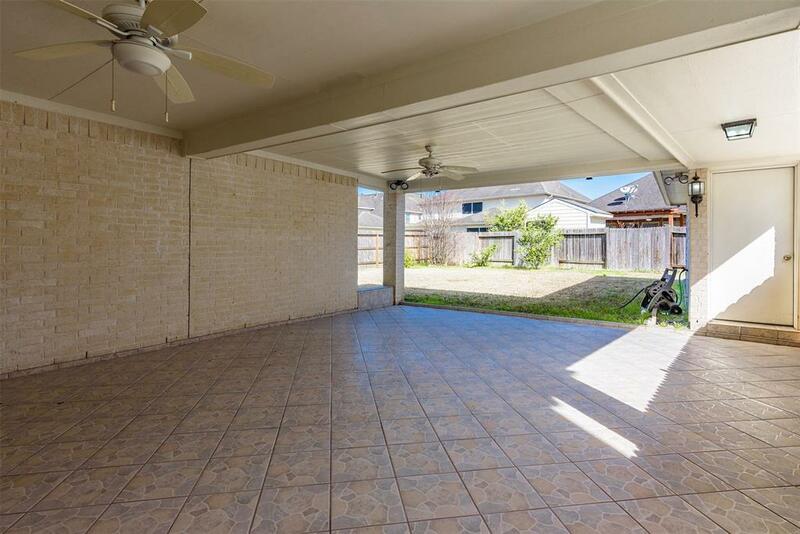 Outdoor kitchen in garage!